Posted on February 10, 2015 at 11:44 am. It’s the one night of the year where the world’s leading gaming suppliers come together under the one champagne filled roof to toast a drink to their hard work and receive acknowledgement for their accomplishments. We’re talking about the International Gaming Awards (IGA), an annual event supported by renowned gambling industry leaders as well as gaming professionals from all fields of the gaming world, both online and offline. The 8th annual International Gaming Awards took place on the 2nd February 2015 at the luxurious Savoy Hotel in London for an all-out, full swing glitz and glamour event with insiders saying this was the best year yet. Coined “the Oscars of the global gaming industry” this black tie affair awards such honours as Casino Operator of the Year, Casino VIP Room of the Year, Innovator of the Year, Mobile Operator of the Year and Slots Operator of the Year. The awards are supported by IGA’s online newspaper, The iGaming Post, which has a circulation of over 1000 daily readers to help come to an informed decisions of the most deserving winners. The event also supports various charities including CARE International, Children with Leukaemia, Breakthrough Breast Cancer and the Responsible Gambling Trust, with £115,380 raised by the IGA so far. 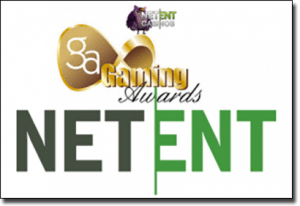 After winning 2014’s highly sought after Innovator of the Year Award at the IGA’s, Net Entertainment came back this year to take out the award for Slots Provider/Supplier Product of the Year, an award that recognises work both online and land based. With a year that saw the development of such leading online pokies as Tornado: Farm Escape, Cosmic Fortune, South Park Reel Chaos, The Invisible Man, Go Bananas and Aliens the award could not have been more deserved. Previous awards for this highly talented and creative team have included Digital Gaming Innovation of the Year at the Global Gaming Awards, Mobile Supplier of the Year, Slot Provider of the Year and RNG Casino Supplier of the Year at the eGaming Review B2B Awards. After taking out an award like Slots Provider/Supplier of the Year, it’s only natural that the world is now waiting with baited breath to see what NetEnt will do next. Thankfully, we don’t have to wait too long, as these guys are always one step ahead of the game. The much raved about SteamTower pokies game is scheduled for release on February 23rd, an original slots game inspired by the 19th century Victorian era using beautiful industrial design. SteamTower is not only rumoured to be one of NetEnt’s most visually stunning 3D pokies to date, but also comes with an innovative bonus feature where the player climbs a tower in order to save the princess and receive a mighty tasty cash prize. NetEnt have already announced that players can expect a Guns N Roses pokies game in 2015, as well as another Universal Studios collaboration for a Dracula slots, with release expected around April. After signing 35 new gaming contracts in 2014, one can only expect that this year will be even bigger and brighter for NetEntertainment. Where Can Aussies Play NetEnt Pokies Online? To see for yourself why NetEntertainment is more than worthy of IGA’s Slots Provider/Supplier of the Year Award head to one of our recommended online casinos like G’Day Casino and choose from a range of NetEnt pokies. We recommend popular slots like Gonzos Quest, Scarface, Mega Fortune, Jack Hammer, Starburst and Jack and the Beanstalk to get a feel for the different range of game styles NetEnt is capable of. Games at these casinos can be played for free in demo mode or for real money bets in Australian dollars.